PRNewswire: Axcelis announces that it has placed a Purion VXE, one of the new extended energy range models of Axcelis' high energy implanter range, at a leading chipmaker in Asia Pacific. The new system delivers the highest energy range in the Purion platform. The chipmaker plans to use the Purion VXE to support R&D for image sensors and next generation device development. The system will ship in Q1 2017. BusinessWire: ON Semiconductor introduces the Modular Automotive Reference System (MARS) that gives a ready-to-use camera for research and development activities. The MARS platform enables users to reconfigure cameras with different lenses, image sensors, ISPs and communications options for rapid prototyping and experimentation. The system can be used for the full spectrum of automotive camera applications including ADAS, surround and rear viewing systems, in-cabin cameras (for gesture recognition, driver eye monitoring, or light level inspection purposes), and autonomous driving. MARS enables shorter design cycles, reduced engineering costs, and assists automotive design teams in the implementation of imaging systems by providing them with a unique mix-and-match solution. Through it, various items of hardware can be combined in a robust and highly adaptable system with a compact form-factor. Due to the many different boards available, engineers have access to ON Semiconductor’s broad portfolio of image sensors and co-processors, plus various automotive communications protocols from a select group of third party supply partners. EETimes-Europe: Occipital and Inuitive have jointly developed a structured light 3D sensing solution for mixed reality, augmented reality and virtual reality (MR/AR/VR) headsets and robotics. 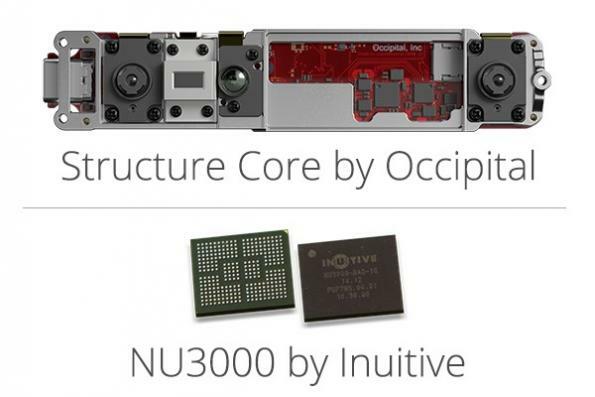 The solution merges Occipital’s Structure Core embeddable depth sensor with Inuitive’s NU3000 depth processing chip. The new solution is able to sense depths from 30cm to greater than 5m with an accuracy as high as ±0.17% RMS at 1m. System latency (from camera to fully-tracked pose) is just 10ms. EThe power consumption for depth + visible is between 1.3W and 2.0W, depending on the configuration selected. PRNewswire: SK Telecom announces an agreement with Nokia to cooperate in the quantum cryptography business. 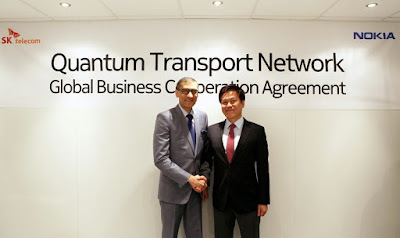 Under the agreement, the two companies will cooperate in the area of Quantum Random Number Generator (QRNG), applying quantum cryptography technologies to IoT devices. SK Telecom's QRNG is the world's smallest 5x5mm CMOS Image Sensor based all-in-one, single silicon providing non-deterministic true random numbers on demand from quantum-shot noise. SK Telecom plans to tape out engineering samples of QRNG chip in Q2 2017 and commercial launch is planned by the year end. SK Telecom envisions using QRNG for Internet of "secure" Things (IoT). "Since opening Quantum Tech Lab in 2011, SK Telecom has been making constant efforts to develop quantum cryptography technologies," said Park Jung-ho, CEO and President of SK Telecom. "Based on the cooperation with Nokia, SK Telecom will create a new paradigm and ecosystem in the field of ICT." 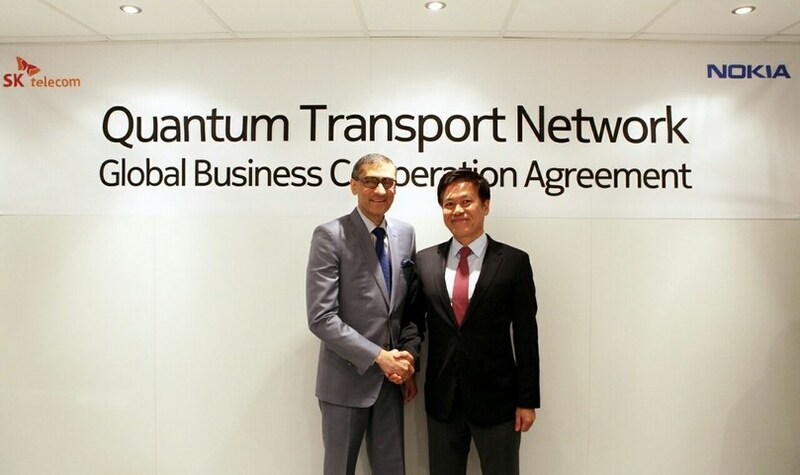 "With SK Telecom's quantum cryptography technologies, we have secured the basis for building the most secure network security solution," said Rajeev Suri, CEO of Nokia. "We will respond proactively to rapidly growing demands of the cyber security market with these technologies and solutions." Japan and Taiwan-based startup Brillnics unveils its first products for security and surveillance applications: two new 1/2.7” 1080p color BSI CMOS sensors: BRV0200 (60fps) and BRV0201 (120fps) utilizing Brillnics patented H³DRTM technology. In comparison with most common HDR approaches, including a logarithmic response pixel, a linear-logarithmic response pixel, a dual photodiode pixel, or a multiple exposure HDR (ME HDR) scheme, Brillnics adopts the multiple exposure HDR scheme and/or single exposure HDR scheme. The SE HDR mode obtains two data from a same pixel. One is a lower response and the other a higher response, of which integration times are identical with no timing shift, unlike the ME HDR. Linearization using the two data is then performed on-chip, yielding 16bit digital signal or 12bit compressed digital signal. The high dynamic range of the BRV0200/0201 in SE HDR mode is made possible by its very high low-light sensitivity and very high full well capacity. The very high low-light sensitivity comes from its high QE and low readout noise floor. Also, the very high full well capacity has been realized in the close collaboration with the strategic foundry partner. Invisage presented a paper "Device design for global shutter operation in a 1.1-μm pixel image sensor and its application to near infrared sensing" by Zach M. Beiley, Robin Cheung, Erin F. Hanelt, Emanuele Mandelli, Jet Meitzner, Jae Park, Andras Pattantyus-Abraham, and Edward H. Sargent at SPIE Physics and Simulation of Optoelectronic Devices XXV Conference held on Jan. 30-Feb. 2 in San Francisco. "One of the most powerful parts of our self-driving technology is our custom-built LiDAR — or “Light Detection and Ranging.” LiDAR is critical to detecting and measuring the shape, speed and movement of objects like cyclists, vehicles and pedestrians. Beyond Mr. Levandowki’s actions, we discovered that other former Waymo employees, now at Otto and Uber, downloaded additional highly confidential information pertaining to our custom-built LiDAR including supplier lists, manufacturing details and statements of work with highly technical information." "Photography usually requires optics in conjunction with a recording device (an image sensor). Eliminating the optics could lead to new form factors for cameras. Here, we report a simple demonstration of imaging using a bare CMOS sensor that utilizes computation. The technique relies on the space variant point-spread functions resulting from the interaction of a point source in the field of view with the image sensor. These space-variant point-spread functions are combined with a reconstruction algorithm in order to image simple objects displayed on a discrete LED array as well as on an LCD screen. We extended the approach to video imaging at the native frame rate of the sensor. 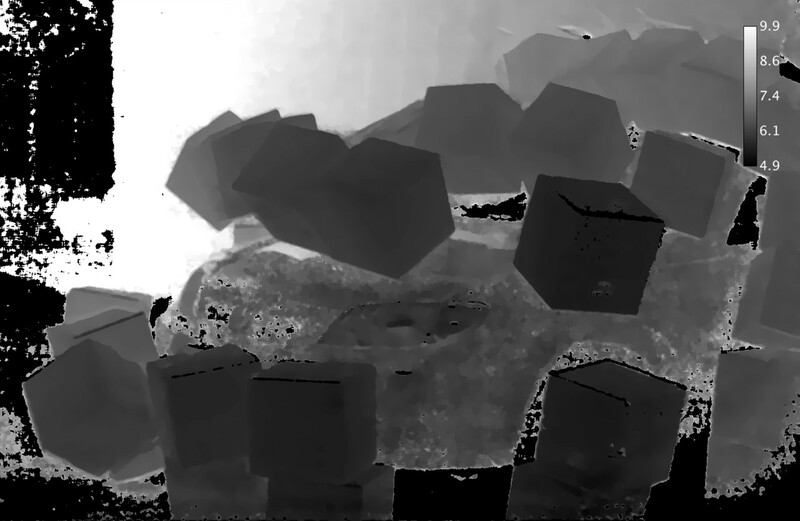 Finally, we performed experiments to analyze the parametric impact of the object distance. Improving the sensor designs and reconstruction algorithms can lead to useful cameras without optics." Nikkei: Panasonic exhibits a technology to accurately measure the heart rate of a person on video.The companys Contactless Vital Sensing utilizes the change of skin's light reflectance caused by blood. The reflectance changes with the contraction of blood vessels caused by heartbeat. 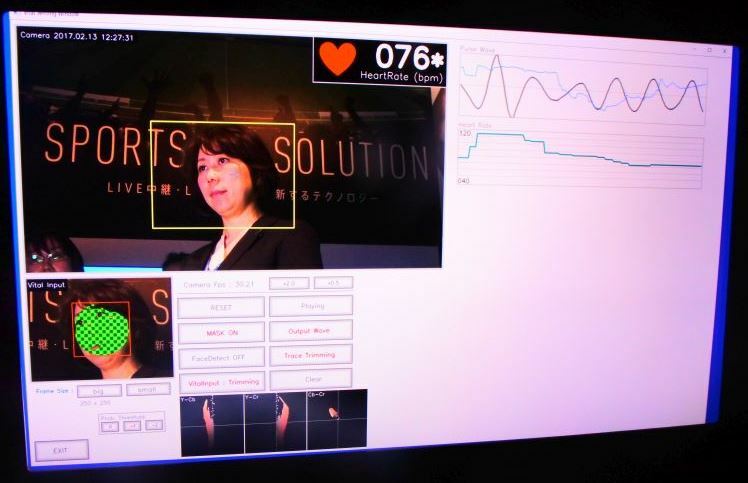 Panasonic aims to commercialize the technology in 2018 in such applications as sports, checking the stress of employees in call centers, preventing car drivers from falling asleep, etc. "It supports recording and playback of video contents at maximum resolution of 4K UHD at 120fps with the latest video codec including HEVC(H.265), H.264 and VP9. [Exynos 8895] ISP supports high resolution up to 28MP for each rear and front camera with advanced features such as Smart WDR and PDAF. Exynos 8895 features dual ISP that consists of one ISP dedicated for high quality and the other for low power. Thus, it enables various combination of dual camera scenario for DSLR-like photography experience while consuming very low power. Exynos 8895 features VPU (Vision Processing Unit) which is designed for machine vision technology. This technology improves the recognition of an item or its movements by analyzing the visual information coming through the camera. Furthermore, it enables advanced features such as corner detection that is frequently used in motion detection, image registration, video tracking and object recognition." BusinessWire: Tessera is changing its name to Xperi Corporation (“Xperi”) and its Nasdaq ticker symbol to XPER, effective tomorrow, February 23. This change, which also includes a new corporate logo and brand platform, is a reflection of the company’s expanded capabilities, continued technological innovation and refined vision. PRNewswire: OmniVision announces its collaboration with dual-camera technology company Corephotonics in producing a new dual-camera zoom reference design for mobile devices. Combining OmniVision's OV12A10 and OV13880 image sensors with Corephotonics' proprietary zoom and Bokeh algorithms, the reference design brings optical zoom capabilities to smartphone camera applications. "Corephotonics is widely regarded as a world leader in dual-camera technology," said Will Foote, senior partnership manager, OmniVision. "The rapid expansion of the dual-camera smartphone market gives us the perfect opportunity to combine our companies' expertise. We are pleased to introduce our first joint reference design, and are excited about many more future collaborations based on OmniVision sensors and Corephotonics' algorithm IP." ...how important is the 2019 launch of the ultra-high resolution camera to automakers to be able to perform those Level 2 plus functions? And then if you could also comment on the hardware cost to the automaker of that camera relative to mono and trifocal today? So, regarding the ultrahigh-definition camera, this is a 7.4 megapixel camera. 2019, we have programs that have a 1.7 megapixel camera. We have programs that have 2 megapixel cameras. These are parking cameras that are used also for autonomous driving, not only for parking. And we have the 7.4 megapixel, in many cases, it replaces the trifocal. So, we have a single mono camera with 120 degrees field view replacing three cameras. So, this particular camera is going to be more expensive. It’s not the imager that is so much more expensive, it is the lens. Lens is more expensive. So, it’s few – I can’t say exactly how much more expensive, but it is more expensive and this allows – so basically the ultrahigh-definition camera allows to replace the trifocal with a single monocular camera. BusinessWire: Tessera subsidiary Ziptronix reached an agreement with OmniVision that provides OmniVision with a license under Ziptronix’s patents. In addition, the outstanding litigation among Ziptronix, OmniVision, and TSMC has been dismissed. "We present a highly miniaturized camera, mimicking the natural vision of predators, by 3D-printing different multilens objectives directly onto a complementary metal-oxide semiconductor (CMOS) image sensor. Our system combines four printed doublet lenses with different focal lengths (equivalent to f = 31 to 123 mm for a 35-mm film) in a 2 × 2 arrangement to achieve a full field of view of 70° with an increasing angular resolution of up to 2 cycles/deg field of view in the center of the image. 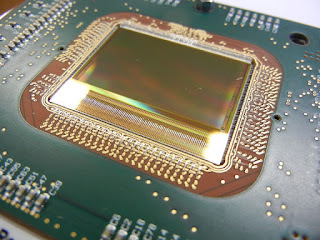 The footprint of the optics on the chip is below 300 um × 300 um, whereas their height is less than 200 um. Because the four lenses are printed in one single step without the necessity for any further assembling or alignment, this approach allows for fast design iterations and can lead to a plethora of different miniaturized multiaperture imaging systems with applications in fields such as endoscopy, optical metrology, optical sensing, surveillance drones, or security." MarketWired: South California-based TetraVue closes its Series A funding at $10M, led by Robert Bosch Venture Capital and Nautilus Venture Partners, and joined by Samsung Catalyst Fund as well as Foxconn. The funding will enable TetraVue to bring its Ultra High Definition, Solid State Flash LIDAR to the autonomous car industry, and to be the leader in Vision for Things (VfT). "TetraVue is unparalleled to any other existing technologies in the three-dimensional Flash LIDAR space," said Luis Llovera, Managing Director of Robert Bosch Venture Capital. "We see its technology as being key to the enhancement and development of the autonomous car industry, which will be the future of transportation as we know it." TetraVue’s core technology differentiation is their patented “light slicer” technology, which uses time and distance measurements in order to find optical intensities using standard CMOS sensors. The company’s approach yields many benefits including higher reliability to meet automotive requirements, low latency, and ability to produce ultra-high resolution images for a wider range of distances at a lower cost. TetraVue’s technology results in 2 million or more simultaneous distance measurements of ranges—greater than 200 meters in any weather conditions and utilizes orders of magnitude less power than competitors. This performance is optimal for the autonomous car industry, and TetraVue plans to miniaturize and commercialize its fully functioning prototype. ST releases its third-generation laser-ranging sensor based on its SPAD FlightSense technology. The new VL53L1 sensor adds for the first time, optical lenses to the module. This combination boosts core performance while introducing many new features including multi-target detection, cover-glass crosstalk immunity at long distance, and programmable multi-zone scanning. With a form factor of 4.9 x 2.5 x 1.56mm, the sensor module integrates a new lens system, a 940nm VCSEL light source, a processing core, and a SPAD photon detector. The VL53L1 performs a full measurement operation in as little as 5ms, twice as fast as the earlier-generation devices, for high speed AF operation. It also has doubled the maximum ranging distance of ST ToF sensors to beyond 4.5 meters, ensuring it is well matched to the hyper-focal distance of widely used 21MP camera optics. The new architecture can detect multiple targets within the scene and also allows manufacturers to sub-divide the SPAD sensing matrix into custom-defined zones. These small zones can then provide spatial ranging information that the customer application can use for dual-camera computation in stereoscopy as well as simple depth-map use cases. The VL53L1 is in production now. The Korea Herald: Samsung Electro-Mechanics (SEMCO) and LG Innotek’s profits are growing on rising demand for dual camera phones, according to the newspaper's sources. SEMCO is supplying its dual cameras to Chinese Xiaomi and LeEco since Q3 2016 and it is also in talks with Huawei, Oppo and Vivo. According to Counterpoint analysts, the sales of smartphones with dual cameras will rise more than 400% YoY to reach 300 million units in 2017. BusinessWire: Invensas, a wholly owned subsidiary of Tessera, announces that Teledyne DALSA has signed a technology transfer and license agreement for Direct Bond Interconnect (DBI) technology. “We are pleased that Teledyne DALSA, a recognized leader in digital imaging products and MEMS solutions, has chosen our DBI technology to accelerate the development and commercialization of their next generation MEMS and image sensor products,” said Craig Mitchell, President of Invensas. 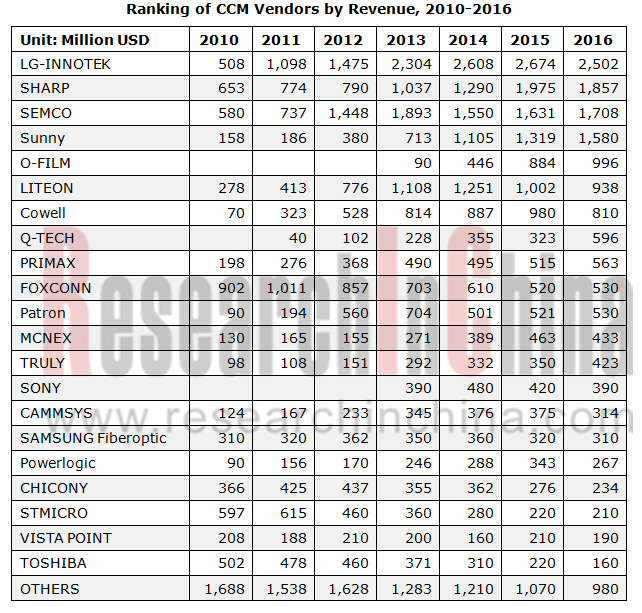 "In 2016, the CIS (CMOS Image Sensor) market size approximated USD10.516 billion, rising by 5.6% from a year ago, but with an obvious fall in the speed of growth compared with the growth rate of 13.5% in 2015, mainly because medium- and high-end products are monopolized by Sony and the manufacturers in low- and medium-end fields are hard to break through the technological barriers and do nothing but hit the price war even in the vehicle field. Although influenced by factors like the Earthquake and the Appreciation of Japanese Yen, Sony still monopolized the medium- and high-end fields by dint of its overwhelming performance superiority and saw an upsurge of 32.9% in its revenue in 2016; by contrast, other players excluding Panasonic and Hynix saw decline. It is expected that, in 2017, the CIS market will grow 4.0%, Sony will see a growth rate of at least 10%, and most others will continue to suffer losses. In spite of being not much expected, the mobile phone market is still the most important market and Sony still monopolizes the high-end mobile phone market. 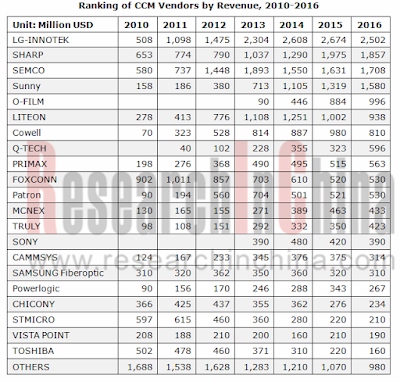 In 2015, the global CCM (CMOS Camera Module) market size reported USD16.611 billion, up 3.8% from a year earlier but the lowest growth rate since 2010. In 2016, as the shipment of Apple phones with the highest single price of CCM fell, the world CCM market was at low ebb and down 0.5%. 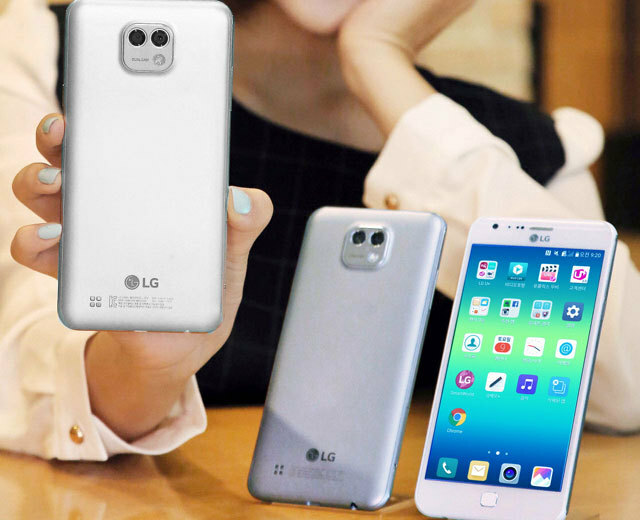 Due to the dual-camera stimulus in 2017, the global market rebounds substantially with the growth rate of 4.3% and the size estimated to be USD17.232 billion in 2017 and USD18.512 billion in 2020. In 2016, Chinese manufacturers made remarkable achievements, while South Korean counterparts saw a drop or slight rise in revenue due to their heavy reliance on Apple and Samsung. Among Chinese players, Q-Tech enjoys the highest growth rate up to 84.5%, followed by Truly, both of which benefited from the outstanding performance of big customers OPPO and VIVO. 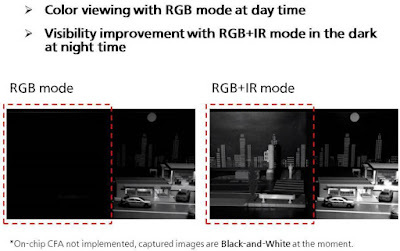 It is anticipated that monochrome dual-camera with same pixel will be the mainstream for smart phone brands except Apple in the future, as it is more affordable and can improve nightscape significantly (visible effect betterment for consumers), while Apple will persist in duel-camera design enriching depth of focus. Smart phones tend to be highly homogenized. Although they are still not quite satisfied with the dual-cameras, consumers are more impressed with dual-cameras than mono-camera. 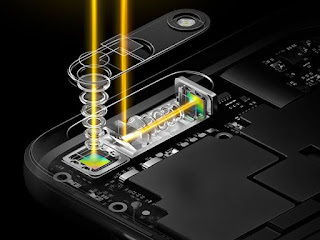 So, dual-camera is expected to be a standard configuration in high-end smart phones, and the penetration rate till 2020 would be as high up to 30-40%." Sony presents 4 new GS CMOS sensors for industrial applications. The sensors have 1/2.9-inch format and include 1.58MP IMX273LLR/LQR and IMX296LLR, and 0.4MP large pixel IMX287LLR/LQR and IMX297LLR. Yole Développement says that the solid-state medical imaging including CCD, CIS, a-Si FPD, a-Se FPD, and SiPM are step by step penetrating the medical imaging industry. Yole’s analysts estimate the solid state medical imaging device market at US$350 million in 2016 with a comfortable 8.3% CAGR until 2022. “For some technologies and applications, wafer volume growth is very significant,” explains Yole’s Activity Leader, Pierre Cambou. “For example, the development of SiPM7 in the field of molecular imaging will multiply in quantity by more than 6x over the next five years. This massive transformation from photomultiplier tubes to solid-state IC was derived from the need of multimodal equipment (PET/MRI10) but it’s going to have a direct consequence in the field of PET/CT11 and spread all the way to SPECT12 imaging." Basler presents a video of its ToF camera features and applications. Basler calls it "the first high-resolution Time-of-Flight Camera in the mid-ranged price segment to offer such a broad variety of powerful Machine Vision features." Corephotonics has partnered with Samsung Electro-Mechanics (SEMCO) to develop a complete camera module reference design, based on Corephotonics dual camera technology. Through this reference design, which is now in volume production, smartphone manufacturers get 5.5mm-slim dual camera designs with 3x optical zoom capability. Sony: Sony’s F65 CineAlta digital motion picture camera was honored with a Scientific and Engineering Award, presented by The Academy of Motion Picture Arts and Sciences. The 20MP, 8K single CMOS sensor-equipped F65 is the flagship of Sony’s large sensor technology. Since its introduction in 2011, the camera has shot everything in HD, 4K and beyond from motion pictures, episodic TV and documentaries to live entertainment and sports, commercials and visitor attraction. The Genesis, co-developed by Sony and Panavision was also honored with a Scientific and Engineering Award. The Genesis is equipped with super 35mm film-size single CCD of 12.4MP arranged in a 1950 by 1080 array, making it the first commercial available sensor with a direct attachment to a spherical 35mm film lens. BusinessWire: Arnold & Richter Cine Technik (ARRI), the largest manufacturer of motion picture equipment in the world, accepted a Scientific and Technical Award from the Academy of Motion Picture Arts and Sciences for the pioneering design and engineering of its Super 35 format ALEXA digital camera system. The ALEXA camera is powered by the ALEV III image sensor, which was designed and manufactured by ON Semiconductor specifically for ARRI. “For almost 15 years, ON Semiconductor and ARRI have worked together to bring the highest quality digital capture to professional motion picture and television production,” said Herb Erhardt, VP and GM, Industrial Solutions Division, Image Sensor Group at ON Semi. ARRI has won several awards for its digital cameras and systems, all of which are based on image sensors from ON Semiconductor. RED too received the Award, but has not published its response so far. Albert Theuwissen concludes his series of reviews of ISSCC presentations. The fourth part talks about Shizuoka University paper on high sensitivity pixel with no reset gate, and Sony 3D-stacked vision sensor. 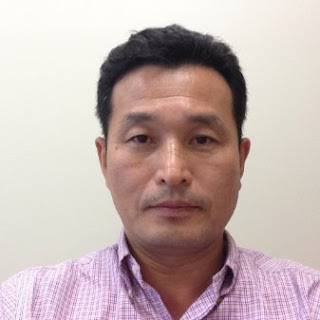 Kwang Bo (Austin) Cho has left ON Semi to join SK Hynix, Korea as Senior Vice President, Head of CIS Division. This is definitely a big news for SK Hynix that needs to re-position itself and find a differentiation on the image sensor market. Albert Theuwissen publishes a third part of the ISSCC papers review. This parts talks about Sony 3-layer stacked sensor with DRAM layer integrated and Panasonic RGB-IR organic sensor. BusinessWire: Panasonic developed a technology of electrical control of the NIR light sensitivity in an organic CMOS image sensor. The sensitivity of all the pixels in the image sensor, which has directly stacked organic films, is simultaneously controlled by changing the applied voltage to the organic films. 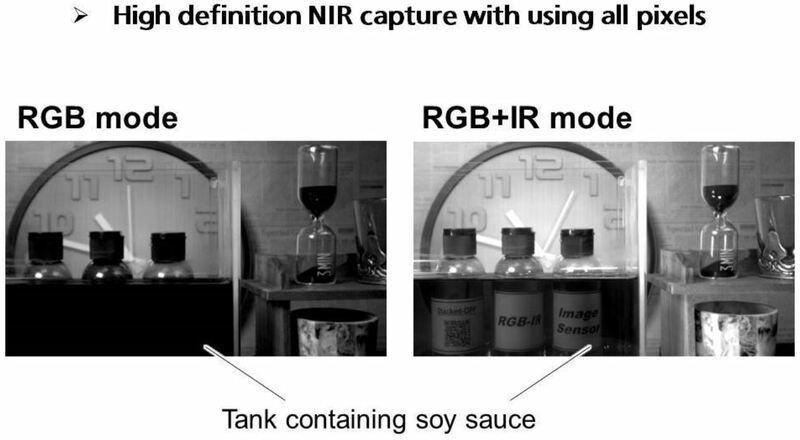 This technology enables to switch between modes of color imaging and NIR imaging frame by frame without a mechanical IR cut filter. The extinction ratio of NIR sensitivity at 800 nm was -28 dB. The technology also enables global shutter operation and is suitable for industry such as machine vision applications. MediaTek announces its mid- to low-end Helio P25 mobile processor combining 16nm Octa-core CPU with Imagiq ISP supporting dual camera features. Smartphones powered by MediaTek Helio P25 are expected to be on the market in Q1 2017. Albert Theuwissen continues his review of imaging papers presented at ISSCC 2017. The second part talks about University of Michigan light-to-digital converter and Canon global shutter sensor. Canon presents a paper "A 1.8e-rms Temporal Noise Over 110dB Dynamic Range3.4μm Pixel PitchGlobal ShutterCMOS Image Sensorwith Dual-Gain Amplifiers, SS-ADC and Multiple-Accumulation Shutter" by Masahiro Kobayashi, Yusuke Onuki, Kazunari Kawabata, Hiroshi Sekine,Toshiki Tsuboi, Yasushi Matsuno, Hidekazu Takahashi, Toru Koizumi, Katsuhito Sakurai, Hiroshi Yuzurihara, Shunsuke Inoue, Takeshi Ichikawa at ISSCC 2017 on Feb. 6, 2017. Albert Theuwissen posts a first part of his review of ISSCC 2017 image sensor papers. This part talks about Samsung event-driven vision sensor, InSilixa genome sequencing chip, and Shuzuoka University 4-tap FLIM sensor. Tokyo University and Sony publish a vision imager demo presented at ISSCC 2017. 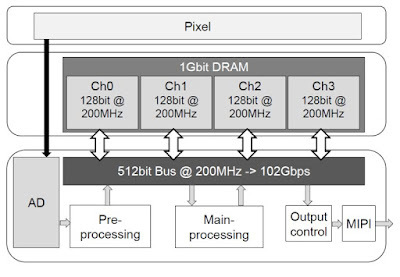 A 1000fps target recognition and target tracking were demonstrated by using the new vision chip with 3D-stacked 140GOPS column-parallel SIMD processing elements. Sony announces the development of the industry's first 3-layer stacked CMOS sensor with DRAM for smartphones. The new 20MP 1/2.3-inch sensor minimizes the rolling shutter distortions by providing a 8.33ms-fast readout of the full 20MP of the sensor into the internal 1Gb DRAM. The high-speed readout capability makes it possible to record up to 1,000 fps (approximately 8x faster than conventional Sony products) super slow motion movies in full HD (1920x1080 pixels).